When the Kansas Senate comes back after this week’s midsession break, it may consider legislation to form a comprehensive state plan to fight diabetes. House Bill 2219 would instruct the Kansas Department of Health and Environment to conduct an analysis of state costs from diabetes, identify best practices to prevent and control the condition, and develop a budget to implement those practices. It also would require the agency to report on the plan’s progress every two years. The Kansas House recently passed a bill that would require a state agency to form a comprehensive state plan to fight diabetes. According to the American Diabetes Association, diabetes affects almost 13 percent of the adult population in Kansas and leads to about $2 billion in health care costs annually. Just before the break the House voted 117-7 to pass the bill, which is one of the main legislative priorities for the American Diabetes Association. Four other states passed similar plans in 2016, according to the organization. According to the American Diabetes Association, diabetes affects almost 13 percent of the adult population in Kansas and leads to about $2 billion in health care costs annually. The association’s numbers include an estimated 69,000 Kansans who have undiagnosed diabetes. Numbers from the federal Centers for Disease Control and Prevention that include only those with diagnosed diabetes ranked Kansas at 21st highest in the country, at 9.5 percent. People with diabetes are unable to produce or properly use insulin, a hormone that turns food into energy. There are two main forms: Type 1 diabetes, previously known as juvenile diabetes, and Type 2 diabetes, the most common kind. Common complications of diabetes include heart and blood vessel disease, kidney damage, blindness and nerve damage. Larry Smith is president of the National Diabetes Volunteer Leadership Council, a Kentucky-based nonprofit that testified for the Kansas bill. He said Kentucky was the first state to enact a diabetes action plan and about one-third of states have them now. “It has opened the eyes of the Legislature and the government that there is a problem and it’s a big drain on their budget,” said Smith, whose daughter has Type 1 diabetes. Smith said the push to fight diabetes in Kentucky began with Gov. Ernie Fletcher, a Republican physician who led the state from 2003 to 2007. “He realized the cost that diabetes put on the state budget was substantial and held them back on a number of things they wanted to do in terms of education or infrastructure and so forth,” Smith said. A similar bill died in the Kansas House in 2015. But Rep. Susan Concannon, a Republican from Beloit who brought this year’s bill, said the current version was voted through in part due to testimony from Rep. Blaine Finch, a Republican from Ottawa, and from his teenage daughter who has diabetes. “It was a little more meaningful for us this year to have one of our colleagues make it more personal,” Concannon said. On a busy league night in a Raytown, Missouri, bowling alley, former auto worker Raymond Fowler keeps up his game playing alongside his wife and longtime teammates. Fowler, who’s 67, stays busy in his retirement, but it’s not all fun and games. 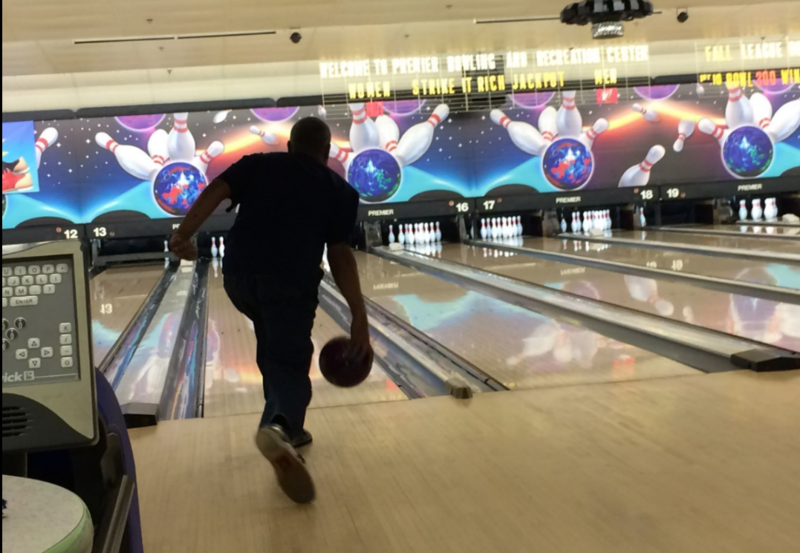 A few years ago, he was diagnosed with type 2 diabetes and changed his diet and exercise routine, which now includes four bowling sessions a week. His condition was severe enough that his doctor said he needed insulin shots, and that’s one change he’s found troubling. While health trends in metropolitan Kansas City are generally headed in a positive direction, two exceptions are obesity and diabetes. Every county from 2004 to 2011 saw growth in the rates of those conditions. There's a glimmer of good news, however. Measured across shorter time frames, 2004-2007 and 2008-2011, the rates for those conditions have slowed in some counties.